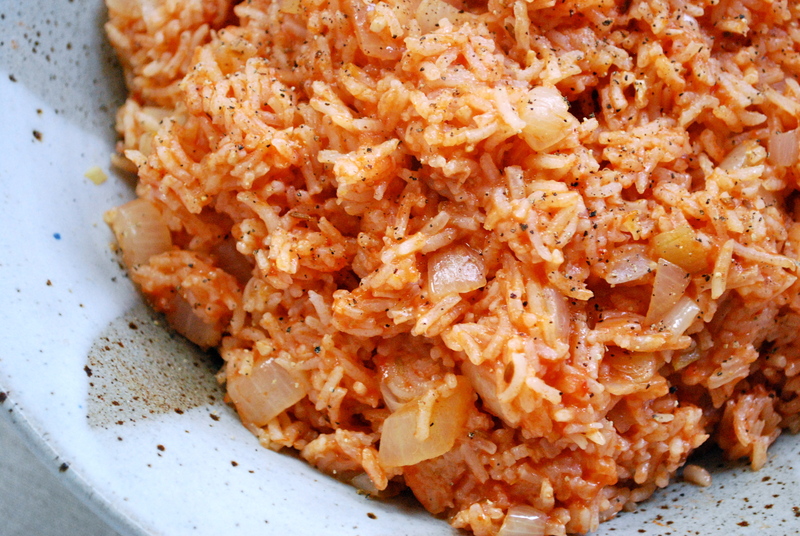 This is a completely versatile side dish that takes no time to make, boosts the nutritional content of your dinner significantly, goes with anything, and is surprisingly addictive. After meals are over and we’re still sitting at the table gabbing about the day, the entire family continues to pick at whatever leftovers happen to be in the bowl until, sadly and inevitably, it’s finished. It’s a perfect pairing to tomato cumin rice and spicy marinated tofu. But it’s very accommodating and can be taken out almost anywhere and will be sure to please the crowds. Steam the kale over high heat until done, still bright green but wilted, about 3 minutes. Don’t over-steam or the kale will become brown and limp. Once done, remove from the heat, place in a serving dish, and drizzle with olive oil, soy sauce, lemon juice, and sesame oil. 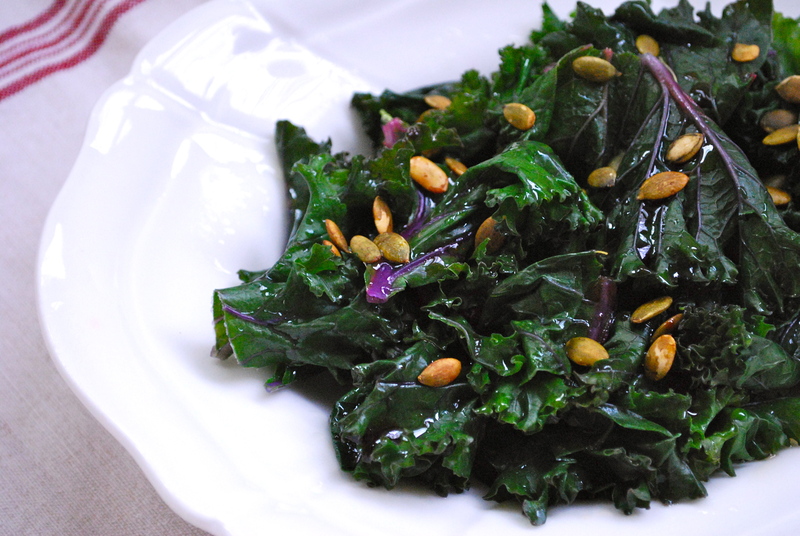 Sprinkle with a little sea salt and then top with sesame seeds or tamari pumpkin seeds. 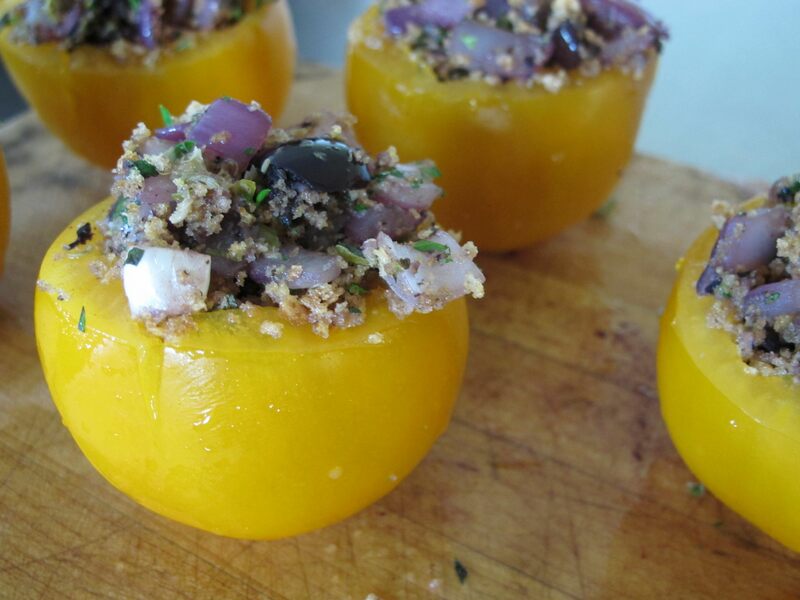 These couldn’t be simpler, or more colourful and flavourful. They are a wonderful accompaniment to a holiday meal, especially with the pungency of rosemary which is welcome at any Christmas table of mine. And they are so easy to make – and are totally conducive to making head of time – thus allowing you to concentrate on everything else going on in the kitchen. Soak rosemary sprigs in water to ensure they are well hydrated. Meanwhile, combine mustard, olive oil, garlic and sea salt and pepper. Toss tomatoes in the mustard dressing. 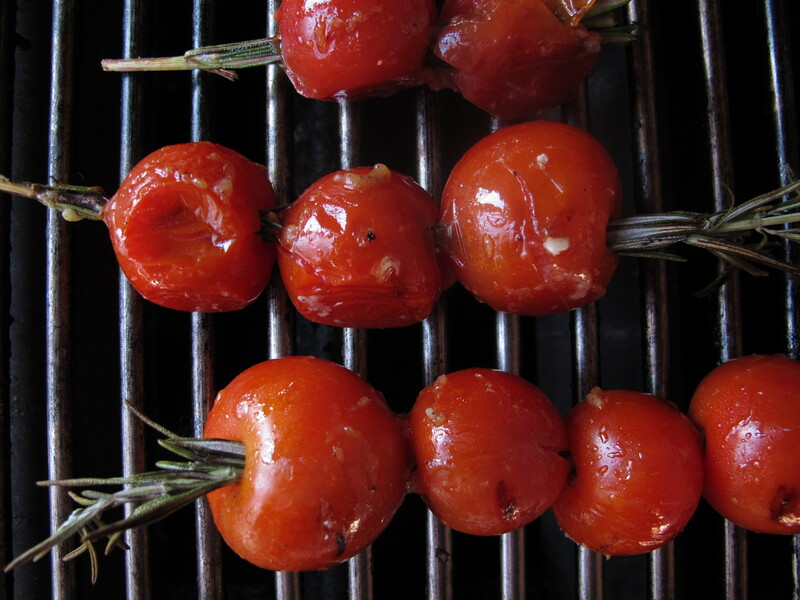 Feed tomatoes onto the rosemary skewers with 4 or 5 tomatoes on each. Grill over medium heat on the BBQ or roast in the oven at 375 degrees for 30 minutes. Never underestimate root vegetables for their taste, colour, nutritional value, and longevity. Take carrots for instance. 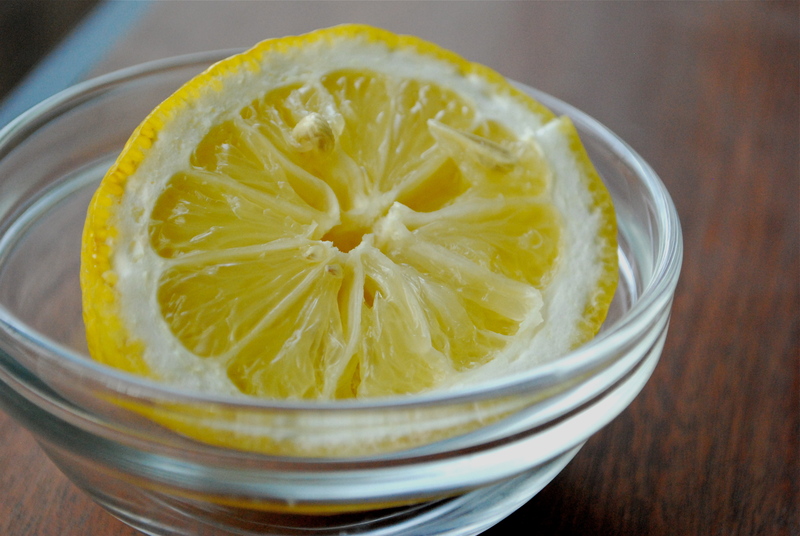 They are delicious; they come in orange, yellow, purple, red, and white; they last in the fruit cellar for a good long time; and they are said to cleanse the intestines and to be diuretic, remineralizing, antidiarrheal, an overall tonic and antianemic, they purify and revitalize the blood, and you know about the eyesight thing. Having helped my grandmother on the farm steam carrots and smother then in butter thousands of times I thought it was time to branch out. This moroccan salad from Yotam Ottolenghi is sweet, spicy, and lemony, and is a great salad on its own or as a friend to any grain. Scrub the carrots and cut them, depending on their size, into cylinders or semicircles; all the pieces should end up roughly about the same size. Place in a large saucepan and steam until carrots are tender but still crunchy. Heat the oil in a large pan and saute the onion for 12 minutes on medium heat until soft and slightly brown. Add the cooked carrots to the onion, followed by all the remaining ingredients, apart from the cilantro. Remove from the heat. Season liberally with sea salt and pepper, stir well and leave to cool. Before serving stir in cilantro, taste and adjust seasoning if necessary. Serve in individual bowls with a drizzle of olive oil and garnished with the extra cilantro. I mentioned in my mushroom parcel recipe that the inspiration for those little parcels of delight was from a new cookbook that I’m loving! called Plenty. Here’s another one. This could be a side-dish, it could be a main with a little salad and baguette to provide company. It could be a nice antipasto-type starter. Totally versatile, quick, colourful, and scrumptious. Nothing pretentious – just plain old goodness in a nice package. And with tomato season almost upon us (I had my first local cherry tomato just yesterday; it’s coming folks!) what could be better? Preheat oven to 325 degrees. Trim off about 3/8 inch from the top of each tomato and discard. Use a little spoon or a melon baller to remove the seeds and most of the flesh, leaving a clean shell. Lightly salt the inside of the tomatoes and place upside down in a colander, to drain off some moisture. Meanwhile, put the onion, garlic, olives and 1 tbsp of the oil in a medium pan and cook on low heat for 5 to 6 minutes, to soften the onion completely. 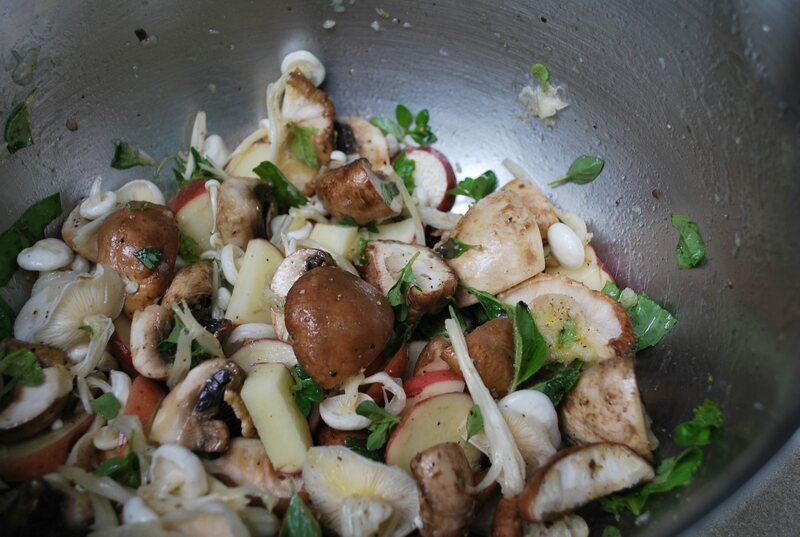 Remove from the heat and stir in the bread crumbs, herbs, capers, and some pepper. Taste and add salt if you like. Fill the tomatoes up with the herb stuffing, pressing down gently as you go. You want a nice dome of stuffing on top. 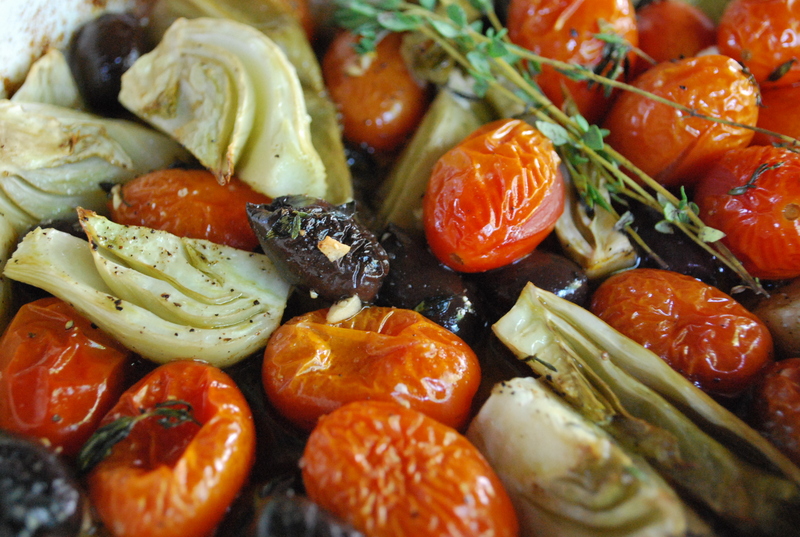 Place the tomatoes in a greased ovenproof dish and drizzle lightly with the remaining oil. Bake for 35 to 45 minutes, or until the tomatoes soften. Serve hot or warm. I got a new cookbook the other day that I’m very excited about. It’s called Plenty: Vibrant Vegetable Recipes from London’s Ottolenghi. The author, Yotam Ottolenghi, is not veg or vegan but has a deep respect for all things green and grain. He says that despite being a meat eater, “my vegetarian image was rightly based on the fact that I was brought up in Israel and Palestine and was exposed to the multitude of vegetables, pulses, and grains that are celebrated in the region’s different cuisines…This is why vegetarian cooking didn’t turn out to be a chore for me. I like meat and I like fish but I can easily cook without them. My grandmother’s vinegar-marinated zucchini, or ripe figs we used to down before dinner, are as substantial and basic as any cut of meat I used to have.” Amen. So this is the first of Ottolenghi’s recipes I’m going to try and expect to bring to you v:gourmetians. I veganized them as he added cream, and I switched up a few of the herbs. But it’s all good. We’re having these tasty little aromatic bundles for lunch with wild rice. Full stop. Preheat the oven to 400 degrees. Cut 4 square sheets of parchment paper 14 inches long and wide. Wipe the mushrooms clean using a wet cloth or a little brush. Leave them whole or cut them into large pieces, depending on their size. 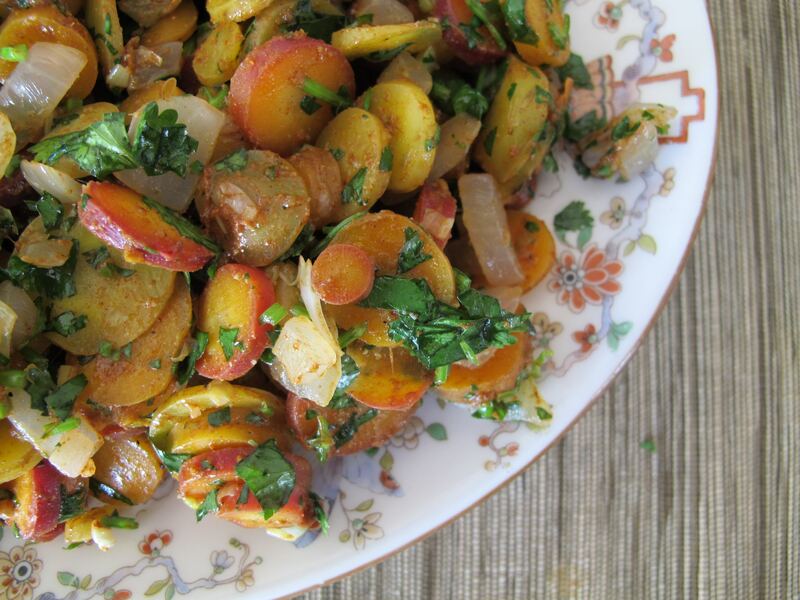 Cut the potatoes into 3/8-inch-thick slices. Divide the mix between the paper sheets. Lift the edges and scrunch them together to create tight bundles, then secure with ovenproof string. Lift the parcels onto a baking sheet. Place in the oven to cook for 17 minutes. Take out and leave to settle for 1 minute. 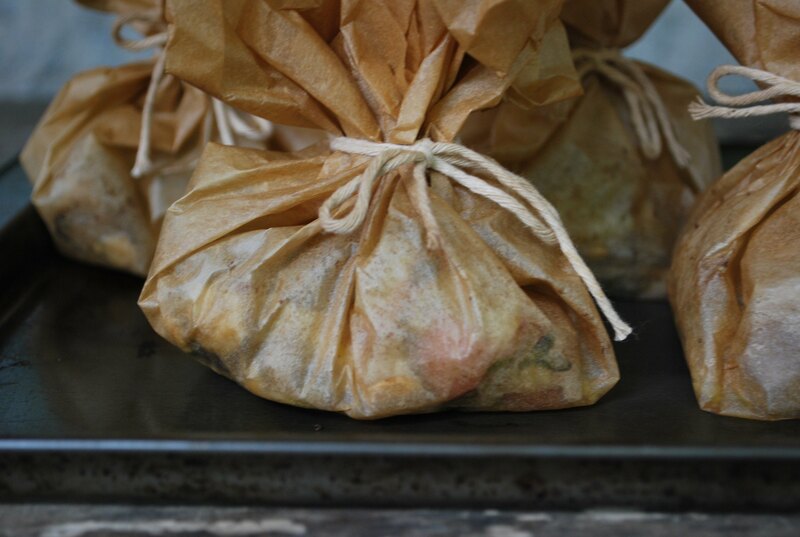 Serve the parcels sealed, allowing the diners to open them up themselves. Had some fennel sitting in the fridge. And a few cherry tomatoes. And some left over olives from our pizza last night. I thought why not roast all these beautiful, fresh, organic ingredients together and see what happens. Well what happened? Love. Harmony. Dreams of a Tuscan villa on the sea. We had it with the tabbouleh which was magical. Incredible pairing without us meaning to create an incredible pairing. A little grilled, local, seasonal asparagus on the side. Mmmmmm. Toss everything in a baking dish. Bake at 425 degrees for about 30 minutes, tossing a couple of times along the way.